Originally published by Winter Oak. Written by Paul Cudenec of the Shoah Collective. 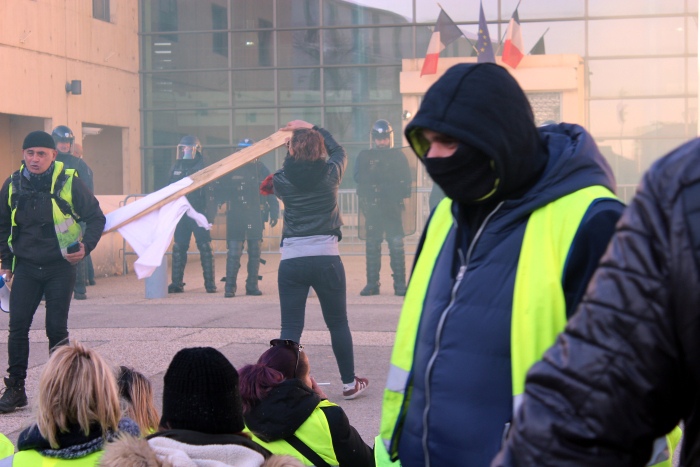 Image above Gilets Jaunes protest outside the police HQ in Nîmes on Saturday December 29.